Monitoring is ideal for construction sites, civil works, mine sites, port operations and as a mitigation tool for residential communities living in proximity to industry. Online monitoring systems are available through service providers. 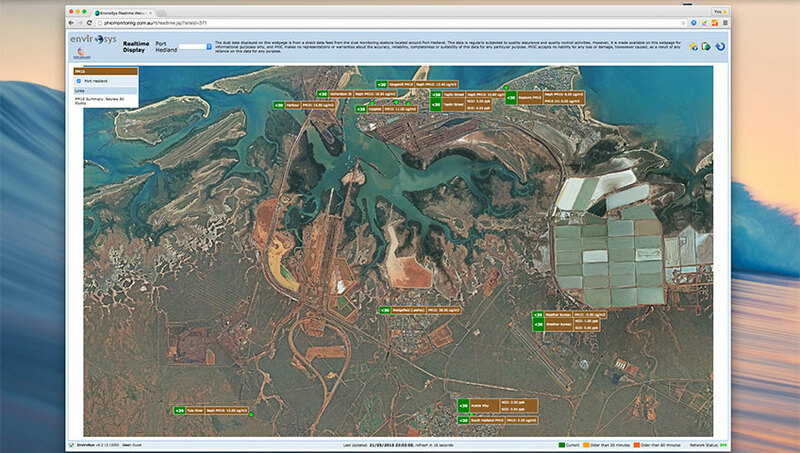 The Port Hedland Real Time Monitoring is a public access facility and an excellent example of an active monitoring system in place. Validates expected dust lift off, (20 metres / second). Known dust risk levels vary for different ore types. Dust control programs are designed to suit different ore types & materials to ensure safe atmospheric conditions – in response to dust lift off performance varying wind speeds. 24 hour online systems showing wind speed and direction. Validates dust control measures applied and identifies risk areas.